A classic look comes with Born comfort in the Dominica sandals. This women’s slide has an upper made of beautiful full grain or suede leather with two adjustable straps which ensure a secure and customized fit. 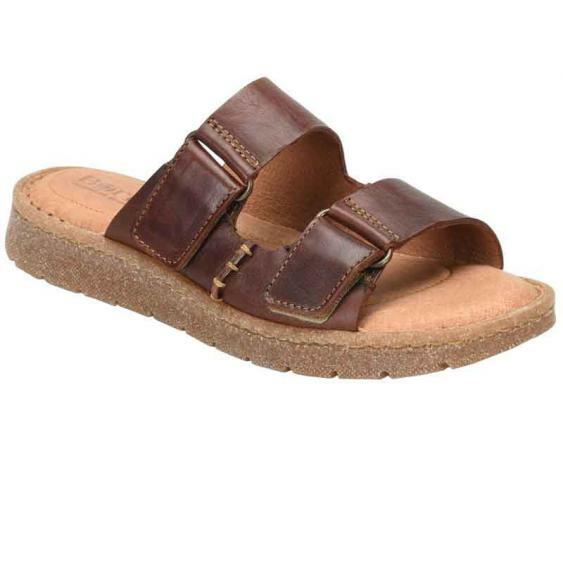 Leather linings provide abrasion-free wear and the leather covered footbed is generously cushioned from heel to toe. The Dominica is made from Opanka Construction which provides a durable bond with a lightweight and flexible feel. For underfoot protection, the Dominica is finished off with a durable rubber outsole. Add a classic touch to your look with the Born Dominica sandals.